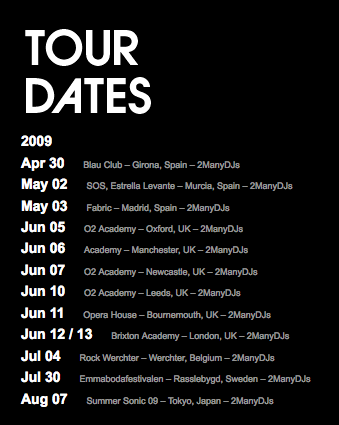 According to our stats more and more people are turning to KNOTORYUS looking for (Radio) Soulwax/2MANYDJS tour dates. More KNOTORUYS x Soulwax love (incl. Interviews, reviews, private wardrobe views, rare mixtapes & more) here. Apr 20 NEW SANTIGOLD: MAJOR LAZER "HOLD THE LINE"